Do you feel that the conversion of leads to actual sales is not high enough and thus making your campaigns ineffective? If so, then maybe you need to have a closer look at the “Handshake” between marketing and sales. With the digital transformation the borders between marketing and sales are fading. In many organisations however there is still a clear separation between the two departments. To be able to stay relevant in this changing environment marketing and sales need to collaborate more and more. An important aspect in this is the moment of handover of leads from one to the other, the so called “Handshake”. The Handshake is the point in time when marketing hands over a (qualified) lead to sales. 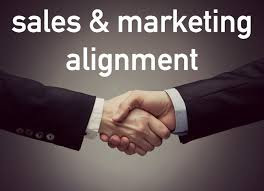 This Handshake needs to be based on a mutual alignment made between the marketing and sales departments, defining when a lead is qualified enough for sales to take over. So before you start with lead generation and nurturing, marketing and sales need to have a discussion that defines the requirements for a lead to be handed over. In this blog we will look how SAP Hybris Marketing Cloud can help with implementing this. Keep track of the progress of the lead throughout the funnel from marketing and sales. In many cases a lead needs to be nurtured by marketing before it is qualified enough to be handed over to sales. Because we have defined when a lead is qualified to be handed over to sales it is clear what data is required. SAP Hybris Marketing Cloud enables you to qualify each lead based on your own preferences. With Lead stages (for instance: Active, Inquiry, Interested, Qualified) and lead scoring you can easily classify the lead. By using customer and consumer profiling you can enrich the data via internal and external data sources raising the qualification level needed for the lead to be handed over to sales. With Hybris Marketing Cloud you can integrate out-of-the-box with your SAP Cloud for Customer or SAP CRM backend system. This allows you to automatically transfer the lead from your marketing to sales based on the earlier defined qualification levels. Once the level has been reached the lead is automatically transferred to sales. All information gathered by sales will also be available in the SAP Hybris Marketing Cloud environment. 2 And the Analytics Queries gives you even greater flexibility and options to define your own selections. SAP Hybris Marketing Cloud can improve your lead conversion and help with the collaboration between sales and marketing. But to be successful in this process your marketing and sales department need to sit together and come to an agreement on what data is required, and what can be expected from each other, to succesfully transfer leads to sales.